ACS-A was tasked with the development of an integrated flange fitting to allow joining of a novel, high pressure pipeline to industry standard fittings within the oil & gas industry. 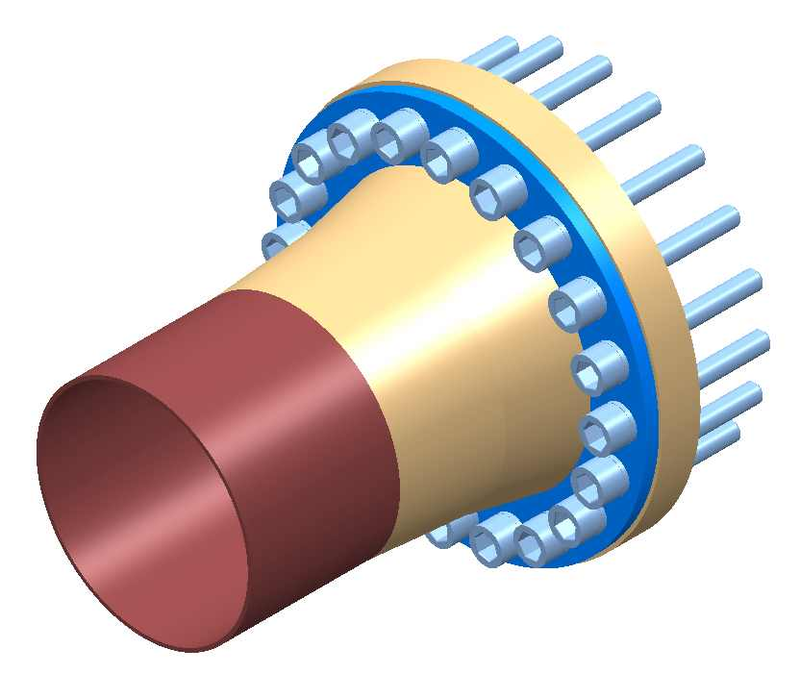 A novel, composite flange concept was developed to meet customer requirements and finite element analysis was conducted to ensure long term integrity at operating pressures up to 40 bar. Pressure testing of the flange will be conducted to verify ultimate short and long-term performance of this product.